The jubilant 21-year old Tiamiyu will be leading the pack at the 10th convocation with a Cumulative Grade Point Average of 4.91 from the Department of Microbiology,College of Natural and Applied Sciences (CONAS). 10th convocation lecture has been sheduled for Friday 19th October while awards of degrees and prizes will be coming up on Saturday 20th October 2018 on the university campus in Abeokuta, Ogun State,Nigeria. With her CGPA of 4.91,Ayokunnumi Tiamiyu has emerged best ever of all first-class products of this university among ten sets ever graduated from citadel of academic and moral excellence. 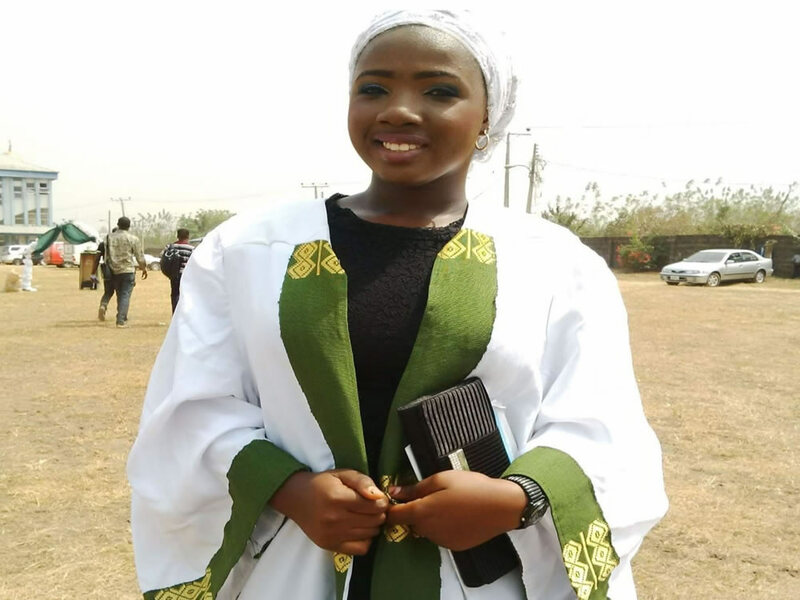 According to the scholar, she had already lost hope of continuing her studies at Crescent University and was almost requesting for her transcript to be able to seek admission into a public university when her attention was drawn to Bola Ajibola Scholarship for Academic and Moral Excellence.That was in her 200-level, 2016, when she was on a grade point of 4.95,the highest any student could have had. She recalled that "few months later,I got a call from the Deputy Registrar to come and apply for my scholarship, that he had spoken to the vice chancellor about it".The Vice Chancellor,Prof. Ibraheem Gbajabiamila,on behalf of Judge Ajibola who was highly impressed with her first class grade assured her that she would get the scholarship with a caveat that she must maintain her class of grade throughout her studies. It so happened that few weeks later, Tiamiyu got another call from the university,after Proprietor's approval that her scholarship had been granted and that she should come for an acknowledgement of same. The elated scholar described the Judge Ajibola as a generous man whose generosity continues to amaze her. She saluted Judge Ajibola's selfless investment in education and legal profession, a part of which she had benefitted. The vision of academic and moral excellence of Crescent University, according to her, has made her to avoid distractions and has taught her to dress modestly. She also praised the university for religious tolerance saying that although she is a Christian, she had freedom to practise her religion without let or hindrance.